Welcome to another fun issue of Your Horror-scope. We hope you had a good week in spite of any celestial influence on your lives. If you didn’t have a good week, there is always the next one to look forward to. In an event, the celestial bodies are smiling on you this week. But, we’re not sure if it is a good smile or a sly smile. Aries… Mars is rising slowly now since it pulled a muscle in its back. You will soon have the desire to buy spectacles for a speckled trout. Taurus…The Earth is on the cusp of Taurus and Taurus is trying to get away for some reason. Soon you will soon meet a Buddhist, a flutist, and a nudist. Gemini… Mercury is descending at this time and is getting light headed. Be on the alert. In the near future you will encounter a suitor, a brooder, and Roto-Rooter. Cancer… The sun is on the cusp of Cancer. Watch out. You will soon be harassed by a lyricist, an empiricist, and an antagonist like Dennis Miller. 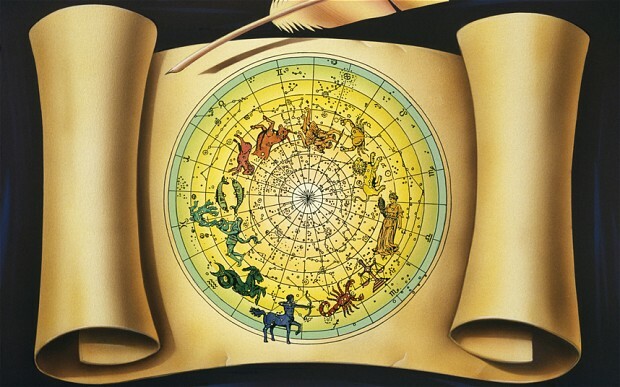 Leo… Pluto is trine with Leo now. This week your interests should lie in teas, fleas, trees, and honey bees. Virgo… Venus is in opposition to Virgo and they aren’t getting along. In the near future you will have the sporting desire to have a boxed lunch with Mohammed Ali. Libra… Saturn is in apogee at this time. In the future, your search for a vein in Transylvania will be in vain. Scorpio… Neptune is square with Scorpio now. Chances are you’re not a music conductor, but you will have the urge to inject the phrase, “Take note of this,” in all your conversations. Sagittarius… Uranus is descending at this time and is square with Sagittarius. The Soon you will be associated with a fish, a fist, and a fistula. Capricorn… Moon is in its first quarter now. You will soon grow very fond of your medulla oblongata, often taking it to dinner and a movie. Aquarius…Jupiter is in opposition to Aquarius at this time. In the future, you may get a hernia when you have the urge to strain carrots for a child. Pisces… Pluto is trine with Pisces now. You will find much happiness, a sense of serenity and good colon health when you constantly say, “Give peas a chance”. Excellent! Hope everything is well with you. Cheers. Sitting under the trees, having my tea while the fleas play leap frog, not knowing honey bees up above are preparing to dive bomb and keep their turf free.